Ikea in Nicosia offers online shopping and delivery Cyprus wide. Ikea in Cyprus has recently offered an online service for shopping, payment and delivery throughout the island. Cyprus economy grows for the first time in over 4 years. Further evidence of the recovery of the Cypriot economy was shown in the latest set of GDP figures for the first quarter of 2015. Capital Controls in Cyprus are lifted on Monday 6th April 2015. Over 2 years after being introduced the last of the capital controls imposed by the Central Bank of Cyprus are lifted today on Monday 6th. Watching the BBC iPlayer in Cyprus (or elsewhere outside the UK). The BBC was always a difficult channel to watch in Cyprus. Only available via SKY on a large dish of around 3 meters in diameter the satellite signal could be quite unreliable even with the biggest dish. Russia becomes the largest market for Cyprus tourist industry during the summer of 2014. Hidden within the tourist arrival figures from Cyprus Tourism Organization, June 2014 was the first month on record where British tourists where beaten into second place for arrivals by another nation. Sunshine Radio Paphos begins transmitting. The aptly named “Sunshine Radio” has started broadcasting in Paphos and we have to say it’s pretty good! Aspire Private British School moves to Paphos. In September 2014 a well established and professionally run private school Aspire will be welcoming its students in the brand new premises on Tombs of the Kings road in Kato Paphos. New King Evelthon Beach Hotel and Resort in Paphos now open. For the past few years anyone travelling from Paphos to Coral Bay could not help to have noticed the large beach side project being constructed on the Chloraka coastline. Нonorary Consulate of Russian Federation now open in Paphos Excellent news for the large Russian community in Paphos is the opening of a Honorary Consulate of the Russian Federation in the heart of Paphos. Bank of Cyprus holds key to recovery in Cypriot property market. Even before the events of March 2013 when Cyprus was bailed out (or was it bailed-in?) by the Troika of international lenders the country’s biggest lenders had became… well, closed to new lending. Cyprus Church lose control of Hellenic Bank to Hedge Funds and the World of Tanks. Cyprus Orthodox Church appears to be one of the biggest losers in the Cyprus crisis. Cypriot Bankers get ready for one last feed. Some years ago after the Berlin wall had fallen and Soviet "perestroika" had given way to capitalism Russian companies found Cyprus to be a convenient staging post for funds. Kings Avenue Mall in Paphos to be open by October 2013. The recent sale of Aristo Developers Venus Rock development to Chinese investors has strengthened the balance sheet of parent company Dolphin Capitals no end. Cyprus Tops European water quality list with a clean sweep Cyprus topped a European list for all the right reasons yesterday with a top of the class quality of beach waters! Coral Bay beach sees its best days in over 10 Years. Good news out of Peyia Municipality regarding the condition of its main attraction, namely the golden sands of Coral Bay. PIMCO gives fascinating insight into the working of Cypriot Banks. The investment house PIMCO was given the job of assessing the amount of cash need for the Cypriot Banking system which resulted in most shocking report. Big Bail In losers to be offered citizenship in Cyprus. President of the Republic of Cyprus Nicos Anastasiades yesterday offered citizenship in Cyprus for anyone who lost more than 3 million euro. Cyprus Refinancing Blooms to 23 Billion Euro The total cost of the rescue of the Cypriot economy swelled to 23 billion Euro from the originally planned 17 billion. Banking crisis in Cyprus doesn’t scare away property buyers and tourists. Widely covered crisis of banking system in Cyprus in reality had very little effect on ordinary tourists and average investors in the housing market of the island. D’OH!…. Europe makes a mess of Cyprus bailout. Friday’s meeting of the Euro Group of European finance ministers ran into a marathon 10 hour session ending with the most controversial of decisions. Bailout for Cyprus by the end of the month Promptly after his election the new president Nicos Anastasiades shows with his decisive leadership what we have been missing over the last five years. Anastasiades wins, but the show goes on. Most of Cypriots went to the polls yesterday in what is widely seen as the most important vote in a generation. MoU – Memorandum of Understanding or 29 pages of what is wrong with Cyprus by the Trokia. The Memorandum of Understanding reluctantly signed by the Cypriot Government and the Trokia of International lenders comprising the EU, IMF and European Central Bank makes an interesting read. Cyprus steps back from the precipice. A steady stream of leaks into the Cypriot governments negotiations with the “Troika” group of international lenders last week have shed some light on just how close President of the Republic Dimitris Christofias came to doing a “Mari” on the entire Cypriot economy. Cyprus is dithering over bailout as the clock ticks. Despite asking for a bailout way back in June it looks like Cypriote officials could miss the November 12 meeting of the Eurozone finance ministers. Troika has all the cards, but Cyprus insists on playing Poker. European leaders yesterday called for a swift end to negotiations with the Cypriot government over the proposed bailout. European Capital of Culture in 2017 is ……… Paphos! One can witness jubilant scenes in Paphos as the city was recently awarded the honorable title of European Capital Of Culture for 2017. Nautilus takes to the water in Paphos Harbor. One was witnessing a surreal scene today in Paphos Harbor as “Nautilus” from the fictional novel “Twenty Thousand Leagues Under the Sea” and “The Mysterious Island” was carefully lifted by crane and launched into the Harbor waters. Cyprus tourist arrivals up, Russian visitors way up! The general economy in Cyprus has seen better days for sure, but although it seems to be all doom and gloom several rays of light have pierced the dark clouds, at last. Cyprus is increasing its presence in Russia The Cypriot ambassador in Russia has recently announced that by the end of 2012 Republic of Cyprus will be opening three more General Consulates in Russian cities of Yekaterinburg, Samara and Krasnodar. The Learning Center Peyia (TLC) to give extra choices to parents The Learning Center in Peyia has obtained a new licensed site in St George and plan to have their new school ready by the start of the next academic year (September 2012). Cyprus Bailout Inevitable Cyprus Popular Bank boss Michalis Sarris has said yesterday that the Cypriote government would have to resort to EU bailout in order to recapitalize its stricken banking sector. Cypriot EU Presidency to coincide with financial woes Cypriot president Demetris Christofias looks like he is due to have his hands full over the next six months. Rio Cinemas Paphos opens The “Planet Adventure” complex at the entrance to Paphos has been open now for a few months. Works at Kings Avenue Mall have accelerated Although it appears that the project has stalled with many different rumors circulation many people are very interested in the Kings Avenue Mall site here in Paphos. Old Larnaca Airport to Become a Chinese Exhibition Center Hermes Airports and the Chinese company Far Eastern Phoenix Ltd have signed a final agreement to redevelop the Old Larnaca Airport site at a cost of 600 million euro. RYANAIR to set up a Paphos Hub The new international airport in Paphos is to host two Ryanair Boeing 737-800 on a permanent basis. Sea Caves Shipwreck becomes tourist attraction. Edro III, the Sierra Leone flagged cargo ship, that run aground in the Sea Caves area of Paphos on the 7th of December has become an unlikely tourist attraction. 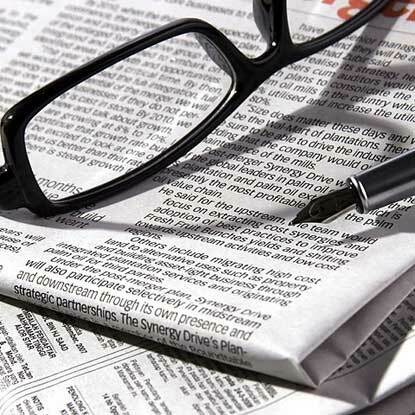 Noble Energy Report “Significant” Gas Find in Cypriote Waters. Noble Energy’s Chairman and CEO Charles D Davidson has announced that block 12 of the Aphrodite field located to the south-east of the island contains 5-8 trillion cubic feet of natural gas. Kings Avenue Mall in Paphos. We have several reasons to be closely watching the building progress of the Kings Avenue Mall, located on Tomb Of The Kings. Russia lends Cyprus 2.5 Billon Euro. On the 23rd of December in Moscow Cyprus and Russian Federation signed the bilateral deal which will see Russia lend the Cypriote government 2.5 Billion Euro over 4.5 years at a rate of only 4.5%. Russian Businesswoman of the Year Award 2011 Only months after scooping the best Real Estate Agency website in Cyprus, we are extremely proud to announce that our company’s co-founder Yanina Osipova has won the Russian Business Woman of the Year Award. How to get from Larnaca airport to Paphos for only 11 euro One of the most frequently asked questions from our buyers is whether there is an economical alternative to the expensive taxi service from Larcana airport to Paphos, which is normally priced at a hefty 125 euro a trip. Update on new retail developments in Paphos Having written back in January about many new exciting projects, that are currently progressing throughout the Paphos area, we bring you an update on these developments. Exciting Entertainment and Retail developments in the Paphos Area Amongst the road works improving the drainage system in Paphos area lie some exciting new retail developments. There are several new developments currently on the go in the Paphos. Let’s take a little time to go over the main 3 and highlight what they will bring to the local area. City rivalries between different towns in Cyprus extend well beyond Soccer. Paphos and Limassol have a long tradition of friendly rivalry with Limassol holding a lead, but the tide is turning in favor of the West Coast resort town. Who dares – wins There are some good deals out there, and the best ones don’t stay for sale for long. Pay upfront to sell my Property………You must be joking! Paying upfront fees to sell a property is not uncommon in Cyprus, but in difficult times sellers should only pay once the property is sold. Free market Economics – Let the Best Agent Win. Long term exclusive agency agreements can prevent your resale property in Cyprus from being sold and should come with a "government wealth warning”. There’s Life, Jim (In The Cyprus Property Market), but not as we know it. Cyprus property market has taken a bit of pounding over the last few years, but there is life still flourishing in the resale market and it’s all thanks to those beleaguered property developers. New tendencies on Cyprus resale market Over the period of 2009-2010 a new tendency has become more and more obvious – this is the increased share of the resale properties amongst the overall property sales in Cyprus. Limassol marina foundation stone After over 20 years of planning, proposals and bureaucratic delays, construction work on the first of the five large marinas in Cyprus should start in Limassol in the next couple of months. Cyprus offers top international property prospect Cyprus offers one of the best international property prospects around, a member of the country’s government has remarked. Blue Flag record for Cyprus Beach holidays in Cyprus have seen a significant boost with the island receiving a record number of Blue Flag awards. Easier procedures for getting Permanente Residence Permit The recent circular from the Ministry of Interior dated 07/05/2009 establishes the following policies in Cyprus. Smoother visa procedures for Russian tourists Visa application forms will be filled out online on a Cyprus government website and the information submitted to the consular services. Once the Cypriot consulate determines that everything is in order, it will ‘pre-approve’ a visa and send it to the applicant via email. Legal problems with Northern Cyprus property Following a ruling by the European court, British owners face huge damages. Get ahead in the Med Cyprus is surging forward with state of the art homes Sitting at the crossroads of three continents, the eastern most Mediterranean island of Cyprus not only enjoys an enviably long summer, but draws a rich mix of buyers. Second Hand Property The Second Hand Property / Resale market is going from strength to strength in Cyprus, with more buyers realising the potential savings that can be made buy buying second hand property. I am thinking of buying a property in Paphos, but worried about BREXIT. As the UK “waves” good bye to the EU, what are the prospects for owners of Cypriot property? I am thinking of selling my property in Paphos and worried about BREXIT. So, the United Kingdom has voted for BREXIT and will leave the European Union. What are the implications for the many British sellers of property in Paphos? Mortgages from Cyprus banks are available, but caution is advised. First, the good news! It’s possible again for a foreign buyer to arrange a mortgage here in Cyprus for a holiday home. British High Commission in Cyprus does NOT have a list of recommended lawyers. Often we are asked to recommend a lawyer to our vendors or to clients who want to buy. Watch Tim and Kim choose an Estate Agent in Paphos. Make the sensible choice when choosing an estate agent in Paphos, Tim and Kim did! Cyprus Resales, an innovative real estate agency On the Move. It’s exciting times at Cyprus Resales. Not only we are moving to our new high-tech office at 7 Tombs of the Kings Ave, but also we have been busy for the last few months upgrading a new site, specially designed for mobile phones and tablet PCs. We are moving! After spending many happy years at our current office in Byzantium Gardens we are moving to what is the most visible office in the whole of Kato Paphos. Preparing your home for Photography and Virtual Reality walkthrough. Your Cyprus property is one of your most valuable assets. When the time to sell comes, the way your property is presented plays a big part in attracting potential buyers and gaining the best possible sale’s price. 24|7 Open House with 3D Walkthroughs from Cyprus Resales. Cyprus Resales once again show why they are considered the best estate agent in Cyprus. Rates of the Sewerage Board of Paphos (S.P.B.) Another frequently asked question from our clients is the annual fee from the Sewerage Board of Paphos. Water and Electricity prices in UK and Cyprus compared with surprising results. One of the questions we get asked the most is the cost of electricity and water in Cyprus vs the United Kingdom tariffs. Your Energy Performance Certificate (EPC) requirements are covered by our estate agency for FREE! If you would like to sell your property in Cyprus you are required by law to order an energy performance certificate. Dream a little bigger when buying property in Cyprus. Resale property in Cyprus is excellent value for money. Cyprus Land Registry Assignment fees. What are they and who pays them? Before looking at these fees it’s important to look at why the Cypriot government brought to law sales of property through assignment contract. New legislation on property ownership to help owners without title deeds. When Cyprus was bailed out (or was it bailed-in!) in March 2013 by the Troika of international lenders, we all knew there would be many changes. Cyprus Resales scoop first prize at International Property Awards. Cyprus Resales prove why they are considered to be the leading estate agency in Paphos. For limited time Yialia Beach Villa is available for only 200,000 Euro. A unique opportunity has arisen to acquire this fabulous 3 bedroom Villa in Yialia for only 200,000 Euro - some 25,000 Euro less than the advertised price. Title deed issuance accelerates as Aristo Developers ask 1000 owners to collect their deeds. Aristo Developers, one of the largest private land owners in Cyprus, pushed recent bad news surrounding the company to the back of people’s mind and asked over 1.000 owners to come to collect their title deeds. Gap between market value and developers prices continues to widen. Effect on prices of all commodities caused by supply and demand is the corner stone of economic theory. News Flash! Property transfer fee reduced by half, capital gains tax temporarily abolished. Has there ever been a better time to buy a resale property in Cyprus? Probably not! Title Deed Issuance Unraveled. Everybody wants them, but few understand the complex mechanism of how these precious pieces of yellow paper come to be. Hellenic Bank restarts lending to foreigners for first time in 4 years. The second biggest bank in Cyprus by market share, Hellenic bank, announced today that it would offer mortgages to foreigners for the purchase of properties in Cyprus. Cyprus Resales go three for three in Zelemenos Kamares Village. 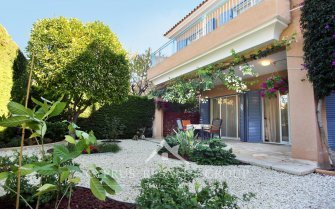 While other estate agents struggle to sell any properties at all, Cyprus Resales - market leader in resale property sell three neighboring villas in the same street. Excellent architecture and landscape of Pafilia and Leptos developers keep resales moving. As completely independent estate agents in Paphos, we are free to list only the best of quality resale properties. Superior standard and design of building of certain developers makes some projects much more desirable than others. Irresistible buying opportunity in Cyprus as sterling heads towards 1.40 against the Euro. As prices of properties in Cyprus have suffered due to the persistent financial crisis now comes a time when the bottom of the market is apparent. Still paying for your electricity or getting it for free with PV system? Since 2013 installation of net metering for residential photovoltaic (PV) systems in Cyprus has become increasingly popular. Property valuation bands as a more realistic option for IPT revaluation in Cyprus. For many years the valuation of properties in Cyprus for IPT (immovable property tax) purposes was based on 1980’s prices shown on title deeds. Demand from Russian buyers stable, British buyers return in force. Russian buyers have proved extremely resilient to the problems in Ukraine and more importantly the near 25 % depreciation in the Russian Ruble against the Euro. Super Size Me! Why choose a 1 bedroom apartment when you can buy a 2 bedroom. It may be stating the obvious, but property prices in Paphos have suffered a significant drop since the peak of 2007-2008. Developer support by government distorts market and creatures unhappy foreign investors. Non EU investors are highly prized within the EU, especially among the countries with troubles economies. Legislation for repossessions and foreclosures in Cyprus is urgently needed before new lending can commence. Non-performing loans at Bank of Cyprus are now officially at over 50%. One year on, how does the Cyprus property market look? It’s hard to believe that a whole year has passed since the botched Troika rescue of the Cyprus economy. Areas in the spotlight – Tala and Leptos Kamares Village. Many of our international buyers are well acquainted with Tala - one of the most prestigious hill-side locations on the outskirts of Paphos. Top 10 amusing things said to us during 2013. As you would imagine we meet a lot of people from all over the world. Between buyers, sellers and associates we have heard some very amusing remarks related to Cyprus property. Cyprusresaleproperties.com – a website so good, it gives you butterflies! Now that it’s been active for a few weeks we have had lots of feedback on our new website. Paphos Kings Avenue Mall defines town center. In what can only be described as a “quantum shift” it is clear that the center of Paphos is now at the start of Tombs of the Kings road in Kato Paphos. Kings Avenue Mall. Yes, it is going to open! Our Paphos office is located almost next door to the new Kings Avenue Mall, so we have had a unique prospective with regards its development. Cyprus Resale launches new Cyprus Real Estate website. After several months of development our new website finally went live last Thursday. New Cyprus Resales website to be released soon. Our new website is almost ready to go ! Cyprus Resales respond to crisis by setting sales record. Crisis? What Crisis?! Because you are worth it… Buy your property in Cyprus. Purchasing a property abroad is a big decision, but for many the decision to buy a property in Cyprus is based as much on intangible reasons as on hardheaded arguments. Next generation Russian buyers pick up bargain properties in Cyprus. It’s no secret that the majority of our buyers are Russian speakers. Our main sign outside our office in Paphos is in Russian and we boast our two associate offices in Moscow and St Petersburg. Fast Track Vs Standard application for Cyprus Visa F or permanent residency permit. Recent changes by the Cypriot government have lead to confusion related to obtaining permanent residency permit or visa “F”. Laiki Bail In losers offset losses by purchasing indebted properties in Cyprus. Soon after the proposed resolution of Laiki Bank it became apparent that deposits would be offset against any debt within Laiki, offering a window of opportunity for shrewd minds. When there is blood in the streets, buy a property in Cyprus! The Cyprus real estate market has been hit hard and prices have suffered a severe drop. We investigate why now is exactly the right time to buy. Sellers of property in Cyprus should be careful before employing their developer to sell their resale. When property owners approach their developer with news of their intention to sell their home, the developer more often than not offers the service in finding a buyer. Cyprus to turn into a true “Casino Economy”. President of the Republic of Cyprus Nicos Anastasiades announced a raft of new measures designed to stimulate the economy that is expected to contract by at least 12% over the next year. 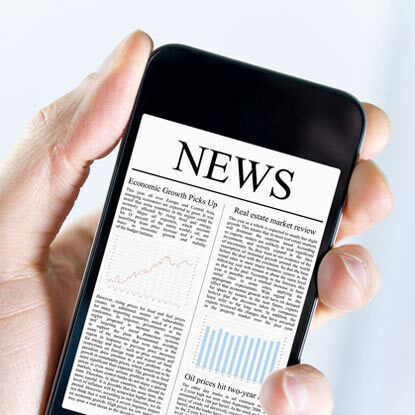 Tweet Tweet: Improved Cyprus property news on Cyprus Resales. 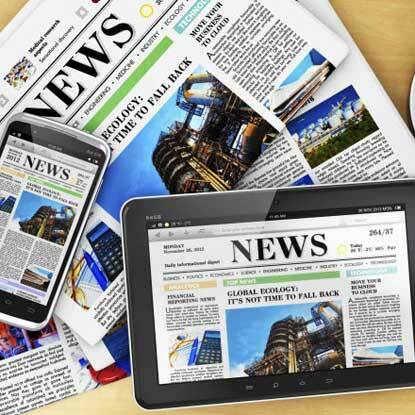 The sharp and insightful news articles on our award winning website have become a favorite read with our international clients. Best Estate Agent in Cyprus? Cyprus Resales! During turbulent times you will find that strong companies step up to the plate by becoming a rock in a stormy sea. Chinese property sales in Paphos under the microscope. For a stranger walking down Paphos streets or travelling in their car from either of two Cypriot airports it must seem that Cyprus has become a little China. Cyprus Resales cap a great year with more sales. During 2012 we have cemented our position as the #1 company in the market for resale property in Paphos. The Lighthouse by Pafilia demonstrates value of resale properties in Paphos. Pafilia Developers’ recent release of the new project “The Lighthouse” directly adjacent to the UNESCO world heritage site goes a long way in highlighting the reasons why resales are becoming increasingly popular. Paphos Kings Avenue Mall helps stabilize property market. Back on the 3rd of October we wrote about the most recent progress with our neighbor – The Kings Avenue Mall. 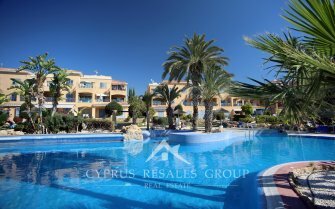 Cyprus Resales defies stagnant market Cyprus Resales have bucked the negative trend by setting sale's records during 2012. Kings Avenue Mall is finally going up. Building works with our neighbor, the much anticipated Kings Avenue Mall, seemed to have stalled over the last months fueling numerous theories as to the future of the building. New rules for Permanent Residence in Cyprus to boost property sales and bank deposits. Cypriot Ministry of Interior guarantees Permanent Residence status to non-EU national investing in Cyprus property. Cyprus Resales Android App V2.2 in Google Play Last year we put one toe into the App market place for smart phones and tablets and we were amazed with the results. Another year and another Industry Award for Cyprus Resales. Again Cyprus Resales clean up at the International Property Awards winning for the second consecutive year the “Best Real Estate Agency Website In Cyprus”. Cyprus properties that get sold, stay SOLD! We are always amazed by the number of people who inquire about properties that are marked as SOLD. Just listed, not one, but 2 frontline Sea Caves villas for sale Marketing at Cyprus Resales is extremely successful and although we have quality properties to suit all budgets our success rate in marketing large luxury properties is second to none in Cyprus. Want to Buy a Cybarco, Pafilia or Leptos built property? No problem! We often hear from our international clients that they want to buy a Cypriote property built by one of the large development companies. Quality and Price Rule Among what appears to be an avalanche of properties for sale it can be hard to see that the vast majority are not worth consideration. Cyprus Resales give the whole picture! Our listings where already the best in Cyprus and we have added a host of new features to every property listing. New lending Credit Crunch comes to Cyprus BREAKING NEWS! Quick Response Codes For our Print Pages As it seems that almost everyone now has a smart phone of some type we have added QR (Quick Response) codes to our print pages. Properties with Title DEEDS Urgently Required! We currently have several spare slots on our books for quality resale property in Paphos area. Cypriote Government to amend Property Transfer fees. Yesterday the House of Representatives unanimously agreed on changes to the property transfer fees paid to the government when a title deed is transferred to a new owner. Not all Title Deeds will be made the same New legalization aimed at finally addressing the farce of issuing the tile deeds is far from straight forward. RICS Property in general and especially in Cyprus is notoriously difficult to value. Most valuations are done using an objective or scientific approach, where easily measured variables such as plot size and covered area are at the top of the list of criteria, used to value property. Cyprus Resales Scoops International Award! We are proud to announce to all our customers that our website has been awarded “Best Real Estate Agency Website For Cyprus” at the 2011 European Property Awards in association with Bloomberg Television and Google. 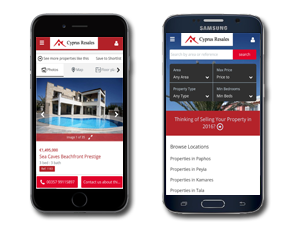 Cyprus Resale Mobile Phone Apps Launched In our perpetual effort to make our website more user friendly we have developed our own Apps for the Google’s Android powered systems and or iOS (iPhone, iPad & iPod). Recent changes to our website We are sure all our customers (both buyers and sellers) will agree that our main website www.cyprusresaleproperties.com is an exceptional tool for a property search in Cyprus. Sometimes it’s hard to see the wood for the trees! There appears to be an abundance of Cyprus Properties for sale, but the reality is that very few of them are quality properties. Focus On Hillside Property As a bit of a rebuttal to our news article published on 26/02/2011 “Focus On Seaside Property” we will have a look at property on the elevated areas that surround Paphos, concentrating on Kamares, Tala and Peyia areas. Focus On Seaside Property The benefits of living by the sea have been well documented. Let’s have a look at some of the excellent coastal property currently available at Cyprus Resales (http://www.cyprusresaleproperties.com ).